Our culture looks to be coming apart at the seams. The June 14 attack on the GOP Congressional Baseball team is only an exclamation point in an increasingly hostile, increasingly violent, premeditated campaign by Democrats and other leftists to create an atmosphere of ungovernable anarchy. The Christian church has not escaped this agenda. In fact, it has become a major target. The Left, in concert with its allies among atheists, Islamists, and the homosexual lobby, is engaged in a multi-front war to destroy what remains of our nation’s Christian bedrock. One of the fronts in this war comes under the innocuous heading “Interfaith Dialog.” It sounds so compelling: a mutually beneficial outreach for “differing faith traditions” to find common ground and join forces to mend the fractious divisions between Muslims, Christians, Jews, and for that matter, practically everyone else. And while the political side pushes for Muslim “rights”, the violent side communicates its intentions with murder. Both seek the destruction of Western society, they just use different methods. This is little different from, for example, the campaign of violence conducted for decades by the Irish Republican Army, and its political arm Sinn Fein, which pushed for, and obtained, representation in Ireland’s government. The IRA/Sinn Fein are Marxist, and these are the tactics communists have successfully pursued all over the world. The Islamists have adopted this strategy and now work with them. We call it the Red-Green Axis. Sounds nice. But it reflects a basic misunderstanding of Christianity that he can only get away with because unfortunately, it has become a mainstream assumption about “Christianity” in our increasingly secular society. Christianity, unique in all religions, does not condition salvation on works. Christians believe you don’t get to heaven by being “a good person,” or obeying the commandments. Indeed, the whole point of Christianity is that no one is good enough, no one can earn his or her way to heaven, as the New Testament makes plain, “for all have sinned and fall short of the glory of God.” (Romans 3:23). Christians believe that was the entire point of Christ, who came to earth to intercede on our behalf. Christians believe that without Christ, we are all destined for Hell. We are all sinners. Christians are not saved by doing good works or being good. They are saved purely and solely by the grace of God alone through faith. As the Apostle Paul says, “And this is not your own doing, it is the gift of God, not a result of works, so that no one may boast.” (Ephesians 2:8-9). ◦ MAS is a Muslim Brotherhood front. ◦ At the 14th Annual ICNA-MAS conference, MAS Immigrant Justice Ctr. Director Khalilah Sabra called for an Egypt-style nationwide street revolution. ◦ At that same conference, CAIR Director Nihad Awad declared CAIR’s alliance with Black Lives Matter. CAIR has since participated in nationwide BLM protests. ◦ Anti-Trump protester Linda Sarsour has also spoken at ICNA-MAS conferences. ◦ ICNA is the American branch of Jamaat-e-Islami (JI). ◦ JI’s military wing owned the Pakistani compound where Osama bin Laden hid out and was finally killed by U.S. Special Forces. ◦ JI rivals the Muslim Brotherhood in its influence in modern Islam and is allied with the Brotherhood as well as Saudi Sunni Islamists. ◦ Like the MB, it developed a modern “revolutionary conception of Islam”. Qadhi invited Imam Siraj Wahhaj, “an all-time favorite of all of us,” to speak at Qadhi’s “Pleasant View” Islamic school in Memphis, TN. Wahhaj is a member of Louis Farrakhan’s Nation of Islam, was an unindicted co-conspirator in the 1993 World Trade Center bombing, and spoke in court in defense of the so-called “Blind Sheik,” Omar Abdel-Rahman, who was convicted as the bombing’s mastermind. Now, Qadhi is not alone in lionizing Wahhaj. The Democratic Party featured Wahhaj in its first-ever Jumah, held at the 2012 Democratic National Convention. But this is not evidence of his moderation. Instead, it shows just how far off the edge the Democratic Party has gone. These terms may sound harsh but are very apropos in this circumstance. “Useful idiot” is a term coined by Soviet leaders to describe Western liberals who enthusiastically promoted the communist line without knowing it. Today the “Interfaith Dialog” seeks to do the same for Islam. We are facing a multi-front, aggressive effort to disarm, emasculate, and delegitimize our nation. 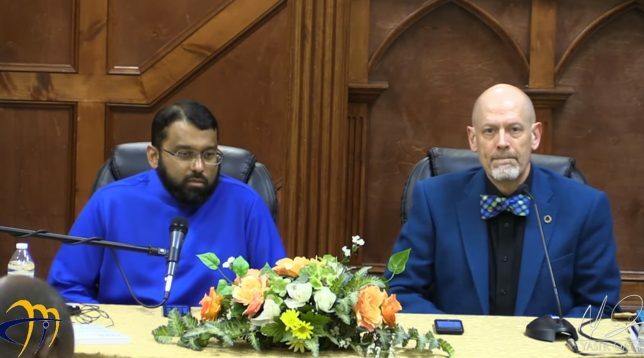 Apologists like Mr. Qadhi assure us there is nothing to fear, while the Islamist political operatives viciously attack us as “bigots” and “Islamophobes” when we express the slightest skepticism. Meanwhile, our instincts and the increasing frequency of deadly attacks played out before our eyes every day, tell us otherwise. We really do need to confront the dangers posed by Islamic terrorism and the subversive effort to advance the conquest ideology of Sharia law. The answer, however, is not to make pretend there is no problem. 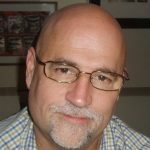 This article first appeared at American Thinker and is reposted here with permission of the author.